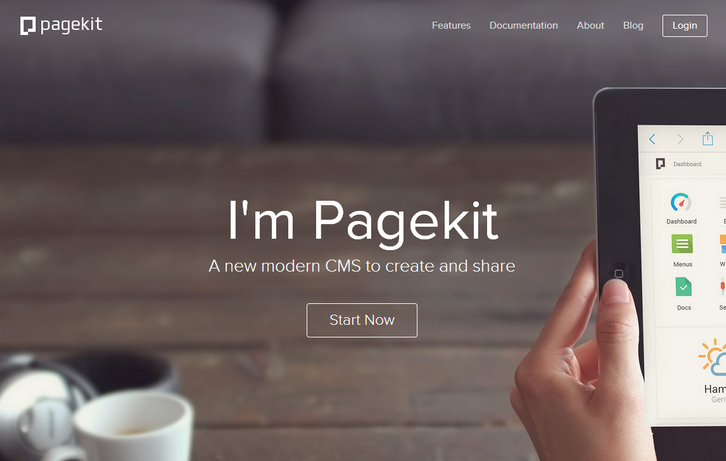 Pagekit is a modular and lightweight CMS built with modern technologies like Symfony components and Doctrine. It provides an awesome platform for theme and extension developers. Pagekit gives you the tools to create beautiful websites. No matter if it’s a simple blog, your company’s website or a web service. Pagekit is published for free under the MIT license. You are free to modify, share and redistribute it without any limitations. It is up to you how you want to license your themes and extensions. Use the MIT, GPL or any other license. This gives you as a developer real freedom. or install it from the Pagekit marketplace.